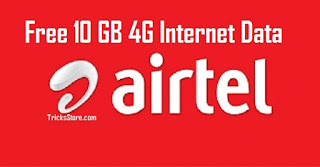 Airtel Volte Offer , Airtel free 30GB data, Airtel 4G Offers, Airtel VoLTE Data Offer – Hello Readers, Now this time we back again with Airtel free internet data offer where you have to just enable VoLTE on your mobile phone and Get 30GB Free Data (working in selected States). Bharti Airtel just launched it’s VoLTE Services in various cities & states such as Mumbai, Maharashtra, Gujarat, Andhra Pradesh, Goa, Madhya Pradesh, Chhattisgarh, Telangana, Karnataka and Chennai. 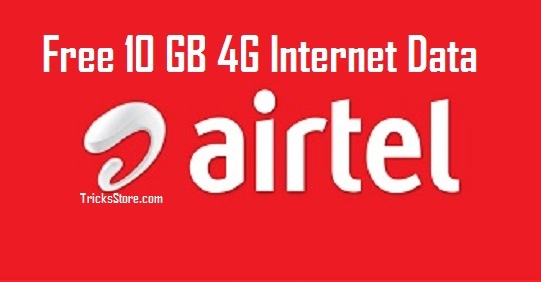 And with this Airtel 4G VoLTE they are offering Free 30GB Data on airtel whem you enables VoLTE on your Smartphone. This offer is valid only few circles. So Hurry up guys if you are from above given circles enjoy this airtel free 4g internet on your phone. This trick is very simple & now you are wondering about what you have to do? 1. First of all you must have Airtel sim in your smartphone and your SIM card & Smartphone both should be 4G enabled. *These settings may differ from one handset manufacturer to another. In case you need assistance, please call 121. Here you done ! Now you will see VoLTE Near Network Range. Note – If your unable to see VoLTE sign on the top bar on your, Just reinsert your SIM card. That’s it, You will get the Free 30GB Airtel Internet Data on your Smartphone within 3 working days with a validity of 15 days. Mumbai, Maharashtra, Goa, Madhya Pradesh, Chhattisgarh, Gujarat, Andhra Pradesh & Telangana, Karnataka and Chennai. Q1. What is Airtel VoLTE? Airtel VoLTE (Voice over LTE) is an advanced service through which customers can experience HD quality crystal clear voice with faster call setup time. While using VoLTE services, users can continue to have un-interrupted high-speed 4G internet experience. Q2. What is the difference between normal voice calls & Airtel VoLTE? Airtel VoLTE users will experience true HD voice. Airtel customers with VoLTE services can experience superior call quality and faster call setup time compared to normal voice calls. Q3. How can I identify if I am using Airtel VoLTE service? Android users can see “HD/VoLTE” icon on the top bar of the screen, which indicates that their phone is ready for VoLTE calls. For iOS users there is no visual representation. However, they can verify VoLTE-readiness through the settings under mobile data. Q4. Will my current 4G smartphone support Airtel VoLTE services? Yes, your existing 4G smartphone can be used to experience Airtel VoLTE services as long as you have completed the software upgrade for your smartphone. Please refer to the above section on the page for a list of compatible devices.